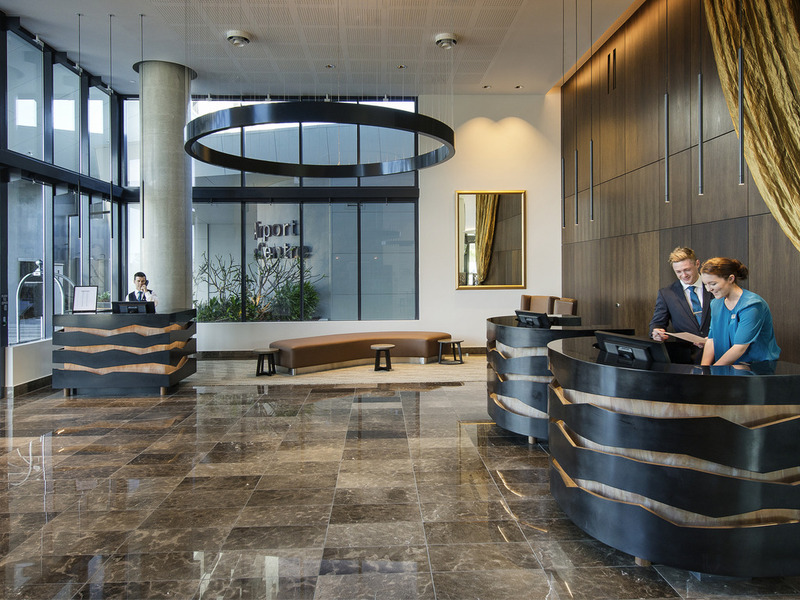 The architecturally designed Pullman Brisbane Airport offers guests a 5 star luxury escape, all from within the heart of the airport precinct. Understated elegance are the hallmarks of the property with 132 perfectly appointed rooms. Led by Head Chef Marco Lodigiani, Apron Restaurant & Bar offers sumptuous dining space & intimate bar space with a distinctly international vibe. The raft of daybeds & a relaxing pergola on the sleek pool deck are sure to entice even the most seasoned of travellers. Brisbane is a popular tourist destination, serving as a gateway Queensland, in particular Gold Coast and Sunshine Coast. The Apron Restaurant & Bar offers guests a perfectly balanced a la carte menu for breakfast, lunch & dinner with a focus on bespoke produce sourced from the 'apron' directly around the property. Apron Bar is the perfect spot for enjoying a quiet pre dinner aperitif or to unwind after the day. The well rounded wine list has been carefully curated by an in house sommelier, to compliment a succinct menu of small share plates.